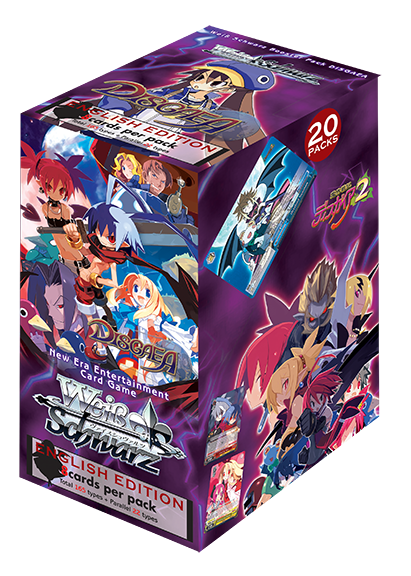 This long awaited Booster Pack is finally unleashed into the English Edition of Weis Schwarz !!! 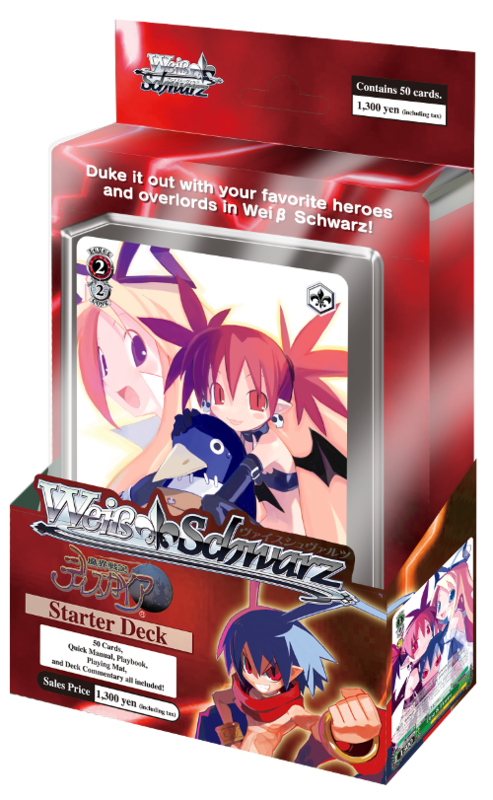 Conquer the world of Weis Schwarz with Laharl and his aides! The “Meister Set” is a new series of products aimed at collectors of the highly popular Bushiroad Weis Schwarz products! The Meister Set will come with a Rubber Mat, Storage Box and a PR card. All of these items are exclusive to the “Meister Set”! The storage box can hold approximately 700 cards inside! 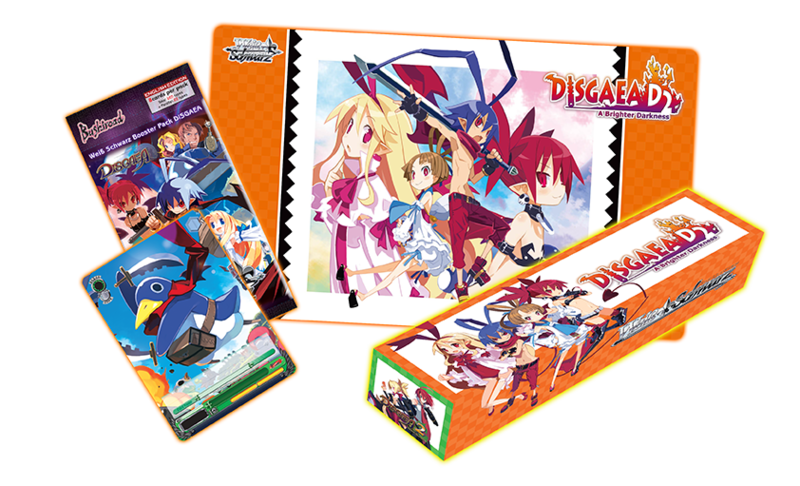 The Meister Set also contains 10 Booster Packs from “Disgaea”. Cards included in the Packs are the same as the Booster Pack “Disgaea”! 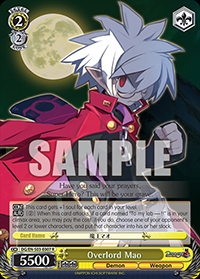 All cards that were in the Japanese Disgaea sets will be included in this upcoming release!!! 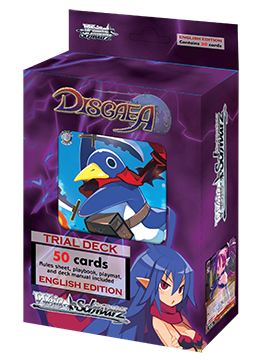 The new Trial Deck will have a new specification different from that of the Trial Deck “Disgaea ~Hour of Darkness~” released in 2009, with 18 exclusive cards out of 20 types. ・There will be changes to the rarities with reference to the Japanese Edition. ・Parallel foil Rare and Common cards from the Extra Boosters will not be included. ・No card ability changes with reference to the Japanese edition. 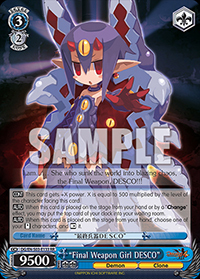 ・All Cards from the previous English Disgaea Trial deck “Disgaea ~Hour of Darkness~” will be re‐issued. 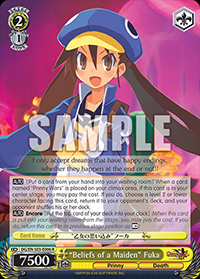 ※ English edition cards cannot be used in official Japanese edition tournaments. ※ Weiß Schwarz English Edition does not include gold/silver campaign coupon.